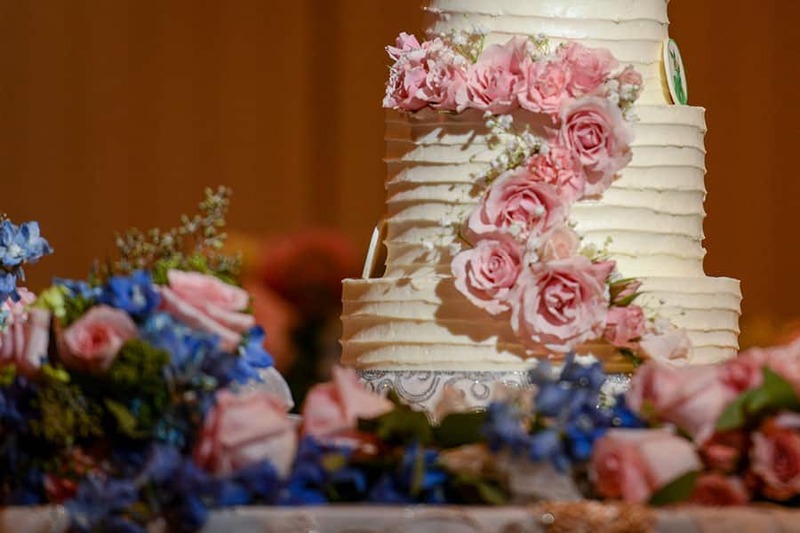 Sleeping Beauty served as the inspiration for this week's wedding cake. 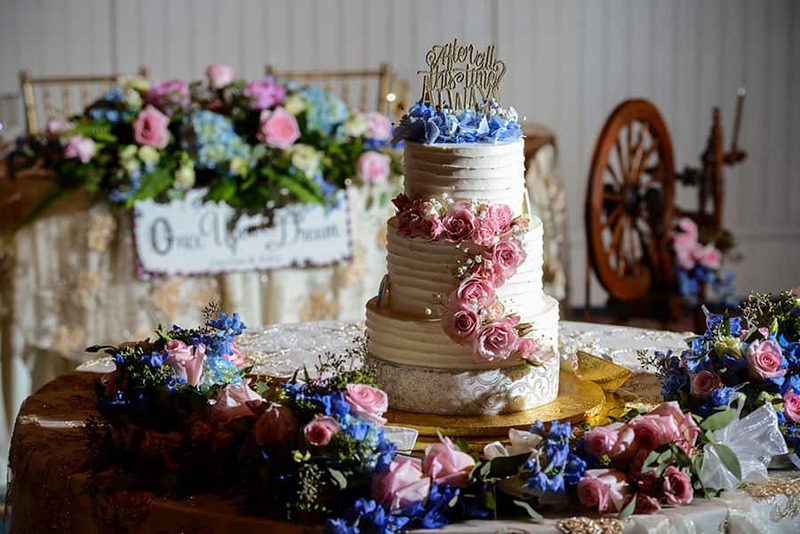 Carolina and Jubin's big day was infused with many elements of the classic Disney film and the cake was no exception. 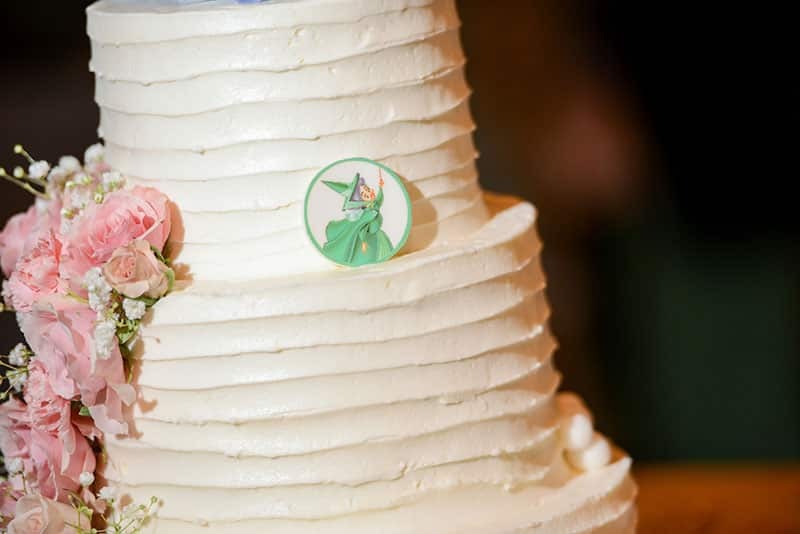 The three good fairies from the movie "“ Flora, Fauna, and Merryweather "“ can be found surrounding the cake and protecting each layer from any overeager, hungry guests. 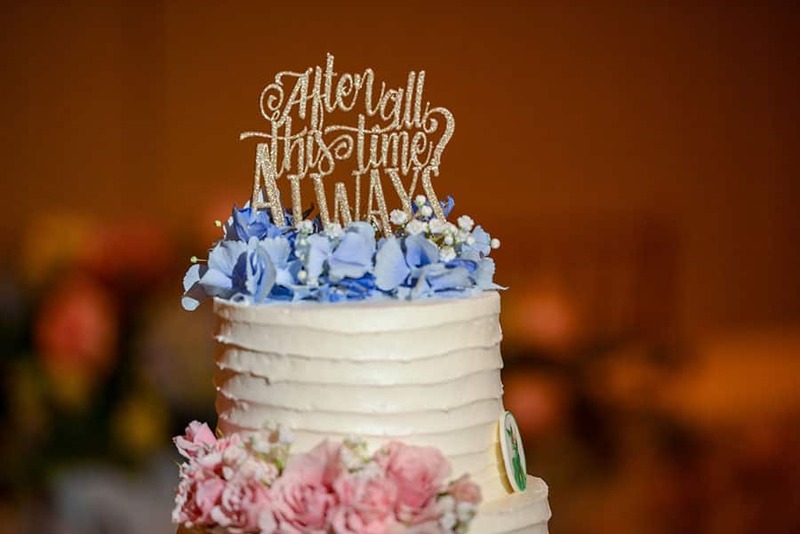 Any Harry Potter fans out there will also recognize the sweet quote on their cake topper.